These Terms and Conditions (referred to as this "Agreement") govern the relationship between you and AXVECO B.V. ("YACHTONUS" is an AXVECO company) with regard to your use of the YACHTONUS website and related services (the "Site"). Membership can be obtained via the Site through a name and password protected system. For consumers as well as commercial clients this includes Basic and Premium or Partner membership. After registration you will be able to make use of the Site (view, edit and update your boat configuration and post maintenance reminders etc). Your username, mail address and password are referred to as your "Identification". You are solely responsible for keeping your Identification confidential. You agree that you and your authorized representatives will be the only users of your Identification, and that you will be solely responsible for all activities on the Site using your Identification. YACHTONUS strives to protect the personal information and privacy of its users, but your use of the Site to transmit or store personally identifiable information is at your own risk. Basic membership is free of charge and can be terminated at any time at your convenience. Premium membership is available for a yearly fee, payable in advance using a payment method as indicated on the Site. The applicable fees are mentioned on the Site and can be amended by YACHTONUS from time to time. The start date for Premium membership is the date that your payment has been duly received by YACHTONUS and will be valid for a period of 12 months onwards. The Premium membership shall then be tacitly renewed under the same conditions for consecutive periods of 12 months, unless terminated for convenience by you using the profile update area of The Site, one (1) month before expiry of the then current period. In case of earlier termination, no restitution of fees will be granted. If your payment to YACHTONUS is overdue, YACHTONUS is entitled to suspend the services available to you, until payment has been duly received, save for her other rights and remedies. YACHTONUS is entitled to immediately terminate your membership in case of any violation by you of any of the provisions of this Agreement. Commercial clients can establish a profile of their business on YACHTONUS. This profile will be visible to consumers and other commercial clients. One user will register as the Lead Representative of the commercial client and he (or she) will have control and visibility over other users who can register as being a representative of this business. Representatives must declare their role as a representative using the Profile update area of The Site and use a codeword set by the Lead Representative. Whilst any representative can acquire Digital Keys on behalf of a business, the Lead representative will indicate who can issue Digital Keys on behalf of the business via the Share area of the Site. Basic membership is free of charge and can be terminated at any time at your convenience. Partner membership is available for a yearly fee, payable in advance using a payment method as indicated on the Site. The applicable fees are mentioned on the Site and can be amended by YACHTONUS from time to time. The start date for Partner membership is the date that your payment has been duly received by YACHTONUS and will be valid for a period of 12 months onwards. The Partner membership shall then be tacitly renewed under the same conditions for consecutive periods of 12 months, unless terminated for convenience by you using the profile update area of The Site, one (1) month before expiry of the then current period. In case of earlier termination, no restitution of fees will be granted. If your payment to YACHTONUS is overdue, YACHTONUS is entitled to suspend the services available to you, until payment has been duly received, save for her other rights and remedies. YACHTONUS is entitled to immediately terminate your membership in case of any violation by you of any of the provisions of this Agreement. By acquiring Digital Keys, you will be able to share your boat information with other users or access and update the boat information of another user. Basic members may only issue a preset number of "Read" keys or accept keys issued by other users. A Premium member consumer may acquire and issue Change keys enabling other users to change his boat information. A Partner member commercial client may issue Change or Exclusive keys to their customers enabling them to update or exclusively manage the profile of a customer's boat. Premium and Partner members may also issue Transfer Keys which, upon acceptance, transfer the boat to the recipient's profile. Note that the owner of the boat can retire Keys that they accepted earlier or through the acceptance of a Transfer or Exclusive Key may alter the usability of other Keys in effect upon a boat. In the event that Key functionality is changed by a user action, YACHTONUS is under no obligation to refund the value of Keys which become redundant or retired. You agree not to take any action that might compromise the security of the Site, render the Site inaccessible to others or otherwise cause damage to the Site or the Content. You agree not to add to, subtract from, or otherwise modify the Content, except as authorized by YACHTONUS, such as your boat configuration and the storage of components to your personal profile, or postings to the Question & Answer or Advice sections on the Site. You agree not to use the Site in any manner that might interfere with the rights of third parties, or post any contributions that might shock, offend or disturb other members of the Site. You further agree not to present yourself to other members of the Site in any other function or quality than as registered with YACHTONUS. If you supply or post any information or material to the Site, you guarantee to us that you have the legal right to post such material and that it will not violate any law or the rights of any person or entity. By posting material on the Site, you give YACHTONUS the royalty-free, irrevocable, perpetual, worldwide right to use, distribute, display and create derivative works from this material, in any and all media, in any manner, in whole or in part, without any restriction or responsibilities to you. do not modify or alter the Content in any way (except for your boat configuration and related components that you have stored yourself in your personal profile), or delete or change any copyright or trademark notice. No right, title or interest in any downloaded Content or materials is transferred to you as a result of this license. YACHTONUS reserves complete title and full intellectual property rights in any Content you store on or download from the Site, subject to this limited license for you to make personal use of the Content as set forth herein. You may not use any of the marks or logos appearing throughout the Site without express written consent from YACHTONUS or the trademark owner, except as permitted by applicable law. YACHTONUS makes no express or implied warranties or representations with respect to the Site or the Content, and YACHTONUS expressly disclaims all warranties of any kind, express, implied, statutory or otherwise, including, but not limited to, implied warranties of merchantability, fitness for a particular purpose, and non-infringement with regard to the Site and the Content. YACHTONUS does not warrant that the functions performed by the Site will be uninterrupted, timely, secure or error-free, or that defects in the Site will be corrected. YACHTONUS does not warrant the accuracy or completeness of the Content, or that any errors in the content will be corrected. The Site and the Content are provided "as-is" and on an "as-available" basis. YACHTONUS does not guarantee that any information or recommendation provided is accurate, complete, or correct, and YACHTONUS shall have no responsibility or liability whatsoever in connection with any information or recommendation provided, or your reliance on such information or recommendation. You are solely responsible for analyzing and determining the appropriateness of any information or recommendation provided on the Site, and any reliance on such information or recommendation is at your sole risk and discretion. The Content may contain typographical errors or other errors or inaccuracies and may not be complete or current. YACHTONUS therefore reserves the right to correct any errors, inaccuracies or omissions and to change or update the Content at any time without prior notice. YACHTONUS does not, however, guarantee that any errors, inaccuracies or omissions will be corrected. Hypertext links to third party websites or information do not constitute or imply an endorsement, sponsorship, or recommendation by YACHTONUS of the third party, the third-party website, or the information contained therein, unless expressly stated on the Site. You acknowledge and agree that YACHTONUS is not responsible for the availability of any such websites and that YACHTONUS does not endorse or warrant, and is not responsible or liable for, any such website or the content thereon. even if YACHTONUS has been advised of the possibility of such damages. Subject to the foregoing, in no event shall the liability of YACHTONUS exceed the yearly purchase price for Premium membership, whether in contract, tort, warranty or otherwise. You understand and agree that you are personally responsible for your reliance upon any information or recommendation provided by YACHTONUS, and your behaviour on the Site. You agree to indemnify, defend and hold harmless YACHTONUS from and against all claims, losses, expenses, damages and costs (including, but not limited to, direct, incidental, consequential, exemplary and indirect damages), and reasonable attorneys' fees, resulting from or arising out of your use, misuse, or inability to use the Site or the Content, your reliance upon any information or recommendation provided by YACHTONUS, or any violation by you of this Agreement. YACHTONUS will not be liable for failure to perform its obligations due to causes beyond its reasonable control including, but not limited to material shortages, labour disputes, transportation delays, unforeseen circumstances, acts of God, acts or omissions of other parties, acts or omissions of civil or military authorities, Government priorities, fires, strikes, floods, severe weather conditions, computer interruptions, terrorism, epidemics, quarantine restrictions, riots or war. YACHTONUS's time for delivery or performance will be extended by the period of such delay without liability by giving notice to you. This Agreement constitutes the entire agreement of the parties with respect to the subject matter hereof. No waiver by YACHTONUS of any breach or default hereunder shall be deemed to be a waiver of any preceding or subsequent breach or default. If any part of the Agreement is determined by a court of competent jurisdiction to be invalid or unenforceable, it will not impact any other provision of the Agreement, all of which will remain in full force and effect. No rights, duties, agreements or obligations hereunder, may be assigned or transferred by operation of law, merger or otherwise, without the prior written consent of YACHTONUS. The obligations, rights, terms and conditions hereof will be binding upon and inure solely to the benefit of the parties hereto and their permitted respective successors and assigns. Any and all disputes relating to this Agreement or your use of the Site or the Content (collectively, "Disputes") are governed by, and will be interpreted in accordance with the laws of the Netherlands, without regard to any conflict of laws provisions. The district court of Utrecht will have exclusive jurisdiction, save for the right of appeal of the parties, in case the parties fail to reach an amicable settlement. YACHTONUS may change this Agreement without your affirmative consent if YACHTONUS provides you with at least seven (7) days' prior written notice. The means of providing this notice includes, without limitation, YACHTONUS providing on the Site's homepage a prominent and conspicuous hyperlink to a webpage that expressly sets forth such changes. 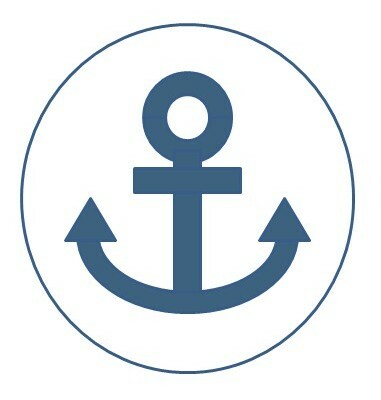 As part of the registration process to become a registered user of certain functionality on the Site, as a default, you elect to receive e-mails notifying you of changes to this Agreement and/or other YACHTONUS policies (such as the Privacy Statement); you may elect not to receive these e-mails, and thereby waive any requirement of YACHTONUS to provide you with notice of any such changes, by opting out of this default. Notwithstanding any provision of this Agreement to the contrary, YACHTONUS may make changes to this Agreement without notice to comply with applicable laws and such changes shall be binding on you and YACHTONUS. Except as otherwise set forth in this section, any amendment to this Agreement must be in writing and signed by you and an authorized representative of YACHTONUS.